MQT Global > Blog > Ecommerce > How To Define The Main Purpose Of Your Website? Website is a digital proof of a Business’s presence on the internet. It is the face of your organization, which showcases what you have to offer to the customers. To serve and cater to the needs of your existing customers and attract potential customers, it is important that the purpose of your website is well-defined and clear. Having a well-defined, clear and planned purpose simplifies your website’s design and gives direction to its development. It helps your business to attain business objectives will greater success. Website strategies must always be considered in the context of your overall business. Following are the major factors we think should be considered in making your website as an effective marketing tool. The best idea is to commence with a business plan. An ideal business plans focuses largely on your target markets and the business marketing strategies that you have formulated to achieve them. It is important to lay out all the business objectives and the mission statement. Your website should identify with the target audience so that it can be used as a tool to achieve the business objectives. As you set out to identify with and redefine the main purpose of your website, it is important to work with accurate statistics. 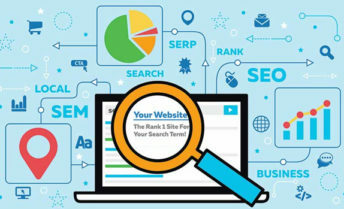 The website’s analytical reports need a thorough examination; especially the pages that were visited and abandoned by the visitors to your website. The geographical location, age, gender and profession of the visitors to your website are also important as it is them who have expressed keen interest in what your business is selling. Many internet users are attracted to a sophisticated website design but there are other users who are more comfortable with a simple website design that is easy to use. It is a good idea to invest some time and effort in figuring out the technical capability and preferences of your target audience. Another step to redefine the purpose of your website is to have a look at your competitor’s websites and visualize your website strengths and weaknesses. Your customers should be easily able to contact you to purchase a product or service and most importantly for feedback. It all comes down to bench marking; comparing and contrasting the standards. Bench marking can be employed by a business in any type of industry to examine where they stand, and then go a step ahead to offer more. Imagine yourself as a customer and think of the reasons you would stop by at your website or just abandon the search. By putting yourself in a potential customer’s shoes, you can easily determine how you can help the customer accomplish what they came here for. To buy a product or service and be satisfied with it? It is a good idea to draft questionnaires, take feedback and reviews from existing customers to improve your user experience. We at MQT Global join hands with you to provide your business a powerful and effective digital presence. Our innovative tech advisers and digital marketing specialists at MQT, are well aware of the evolving eCommerce demands of both the business and customers of the business. We are aware of the changing trends, technologies, and customer behaviors and the dire need to adopt a digital marketing strategy.